ChaosUT has sword swinging action. Chaos is a Q2 port, so official Chaos maps tend to be Quake style with extra skulls and horror. Perhaps you could make the axe as a Chaos pickup. is it possible to replace the sword model with the Axe model? what programs do i need for this? 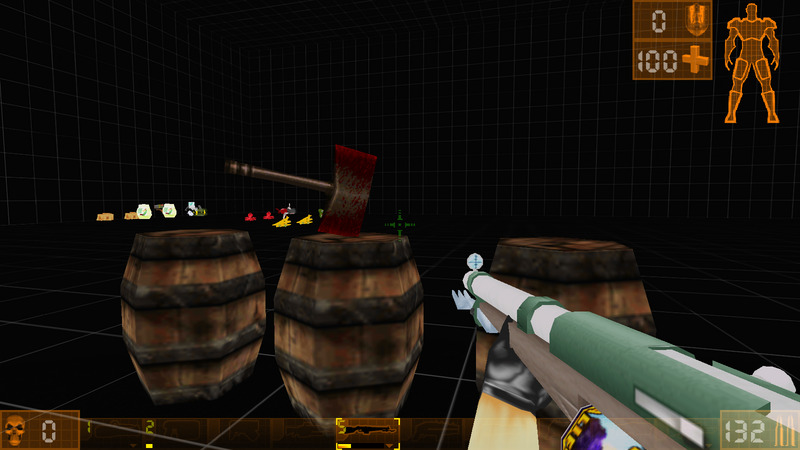 and how can i export the Axe model out of an .U package? although there is no mesh and no texture, what went wrong? You probably didn't assign it in the import code. Place it in editor then find the axe by Edit> Search for actors, then select actor properties. I'll be the mesh and texture are blanked out because they weren't assigned. It's the one thing MilkShape doesn't add in the code generation and I can't tell you the times I've forgotten it too. OwYeaW wrote: .. placed the _a.3d, _d.3d and .uc files into the folder Classes..
and do you need to tell ucc where to look for the texture (what folder it is in)? also since it doesnt have animations, can i just remove the sequence lines? Go back to your folder and put the model files into 'Models' and this script into 'Classes'. Double check that to make sure it's correct. You had multiple mistakes in your code so compare mine to yours to see. If you attempt to compile this and you get an error it could be that the 'Num' value in SetTexture needs to be a zero. Regardless I added two lines in Def Props to compensate if 1 is not correct. When you see the corrections if there is any you don't understand then ask me. If this doesn't work then there is an issue with your model files and you should send them to me to look at: agutgopostal at hotmail dot com. If this doesn't work then there is an issue with your model files and you should send them to me to look at: agutgopostal at hotmail dot com. You did fine. BTW, there's a program called UnrealFX that will let you look at the model as a .3d file and see if there is corruption before you compile it. Don't over complicate things for yourself. About the textures it appears they are not clamping correctly at the edges. That may be an artifact from the conversion.